Pressure sensitive archival hinging tapes have become very popular because they are acid-free and easy to apply. We recommend using them on photographs and giclee ink jet prints when it is important that no water comes in contact with the artwork. 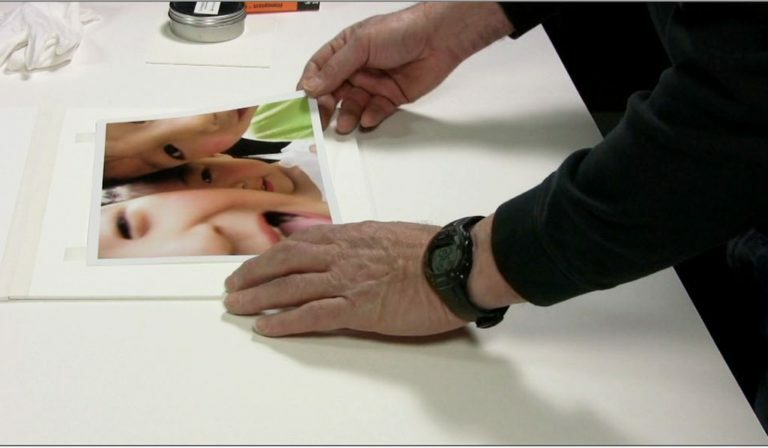 Water activated tapes are recommended on heavier artwork that require a stronger bond and the contact to water does not have a negative effect on the artwork.